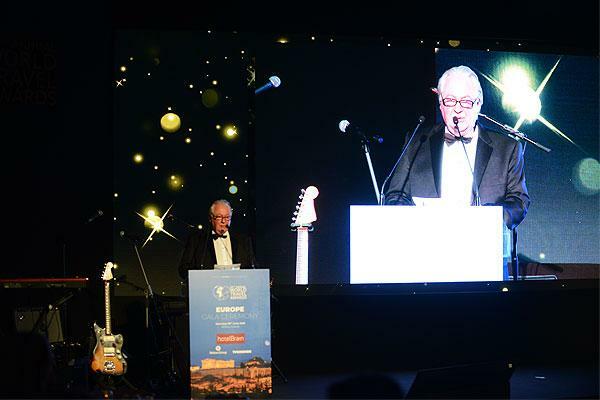 Europe’s finest travel brands have been unveiled at World Travel Awards (WTA) Europe Gala Ceremony 2018 in Athens, Greece. Greece’s resurgent tourism economy was recognised with the Greek National Tourism Organisation winning “Europe’s Leading National Tourism Strategy & Campaign”. Winners at the red carpet gala evening included Hilton Hotels & Resorts (winner of “Europe’s Leading Hotel Brand”), Madrid (“Europe’s Leading Meetings & Convention Destination”), Zurich Airport (“Europe’s Leading Airport”) and Norwegian Cruise Line (“Europe’s Leading Cruise Line”). Portugal beat off stiff competition to be named “Europe’s Leading Destination”, whilst Turismo de Portugal was voted “Europe’s Leading Tourist Board”. Meanwhile the intriguing beauty of Madeirawas acknowledged as it was named “Europe’s Leading Island Destination”. Hundreds of the leading figures of Europe’s travel and tourism industry attended the ceremony, which was staged at the historic Zappeion Megaron Hall. In the aviation sector, Aeroflot – Russian Airlines proved a multiple winner, collecting awards for “Europe’s Leading Airline Brand”, “Europe’s Leading Airline – Business Class” and “Europe’s Leading Airline to Asia”, following a year in which the flag carrier conducted a significant fleet expansion programme as part of its global development programme. TAP Air Portugal, which is also investing heavily in fleet and service upgrades, was named “Europe’s Leading Airline to Africa”. Lufthansa was voted “Europe’s Leading Airline” and Swiss International Air Lines named “Europe’s Leading Airline – Economy Class”. Greece’s resurgent tourism economy was recognised with the Greek National Tourism Organisation winning “Europe’s Leading National Tourism Strategy & Campaign”, whilst Lesante Blu Exclusive Beach Resort was named “Europe’s Leading New Resort”. The Convention Centre Dublin – voted “Europe’s Leading Meetings & Conference Centre” – was also celebrating, as was Ciragan Palace Kempinski Istanbul. The former Ottoman Palace, now transformed into an opulent hotel, was presented with the trophy for “Europe’s Leading Hotel”. The evening marked the second leg of the WTA Grand Tour 2018 – a series of regional events to acknowledge the world’s outstanding travel brands. The tour began in April with WTA’s Middle East Gala Ceremony in Ras al Khaimah, United Arab Emirates. WTA is also staging ceremonies in Hong Kong, Montego Bay (Jamaica), Guayaquil (Ecuador), Durban (South Africa) and Lisbon (Portugal). Αναρτήθηκε από geop στις 10:26 π.μ.